You may be eligible to file a workers’ compensation claim to receive benefits for the injuries you have sustained. However, it is important to know what to expect when filing a claim for workers’ compensation. 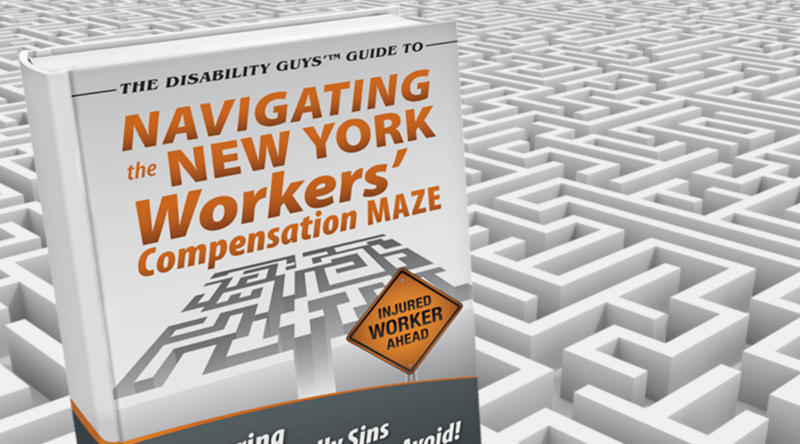 The workers’ compensation process in New York can be very complicated. In addition to complicated steps, there are many time-sensitive deadlines that cannot be missed. One of the main reasons that a workers’ compensation claim is denied is because an injured worker does not file certain information on time or does not provide the necessary information when filing. Fortunately an experienced New York Worker’s Compensation lawyer at Markhoff & Mittman can help you through each of the steps in the workers’ compensation claims process. Understanding what to do after a work-related accident is important when filing a workers’ compensation claim. Below are some of the steps that should be taken after a workplace injury occurs. If you’ve been injured at work, the first thing you should do is seek medical attention to treat any injuries that you have sustained. Many injuries are noticeable right away, however some injuries are difficult to detect and may not surface until weeks or even months later. Therefore, it is important to see a doctor right away. In addition to seeking medical attention, you should also notify your employer in writing about the accident and/or injury that occurred. Notifying your employer of the accident is an important part of the process that is often overlooked. While you have 30 days to notify your employer of your injury in writing, you should do so as soon as you can. After notifying your employer of the incident you will need to file a claim with the New York State Board of Workers’ Compensation. This will be done by filling out Form (C-3) and mailing it to the appropriate District Office. The doctor should complete a preliminary medical report within 48 hours of the accident. This is done of Form (C-4) and should be mailed to the appropriate District Office. In addition to mailing the form to the appropriate District Office, your doctor should also mail the report to you and your employer or its insurance carrier. Your employer’s insurer should provide you with a written statement of your rights under the law within 14 days after receiving your report of the workplace incident. Within 18 days of receiving your report of a work-related injury, the insurer should begin paying benefits. However, if the claim is being disputed the insurer must notify your and the New York State Board of Workers’ Compensation about why your claim is being disputed. The doctor will submit progress reports to the Workers’ Compensation Board every 45 days while you are receiving benefits. This is done on the Doctor’s Progress Report (C-4.2) Form. As you can see there are several important steps involved in filing a workers’ compensation claim. Understanding these steps and filing information on time is critical to winning your claim. The process for filing a workers’ compensation claim is complicated and obtaining the money is often much more difficult than people expect. Unfortunately, many injured workers are denied the compensation that they need because they do not seek legal help. At Markhoff & Mittman, P.C. we have been helping injured workers in New York for over 80+ years. We have the experience required to navigate the workers’ compensation process and give you the best shot at recovering the compensation that you need. If you have been injured at work and are seeking compensation, you will need an experienced attorney on your side. Contact the attorneys of Markhoff & Mittman, P.C.for a free consultation on your rights.